You have spent a lot of time and energy ensuring that everything is just right for your special day. Our traditional style booths are very professional in appearance with either dramatic white, classic black or rustic burlap style (shown above) draped enclosure that will easily blend in to any theme to not take away from the event itself. The last thing you want is some ‘big ugly box straight out a carnival” sitting in the center of the room. 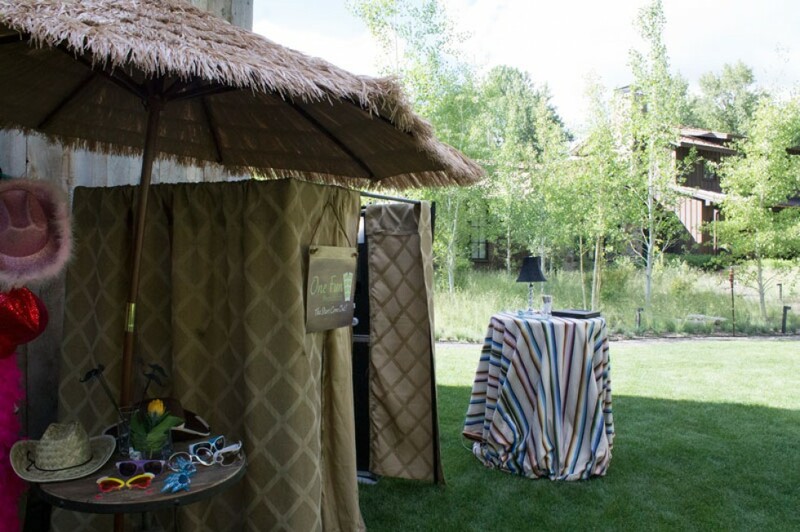 Even at a million dollar affair in Sun Valley our photo booths fit right in and received raves from couples and event planners. The traditional style enclosed booth is only 4’ wide and 6’ long and can go just about anywhere with a flat surface. It is even light enough to go up stairs if needed. Plus all we need is a standard electrical outlet.